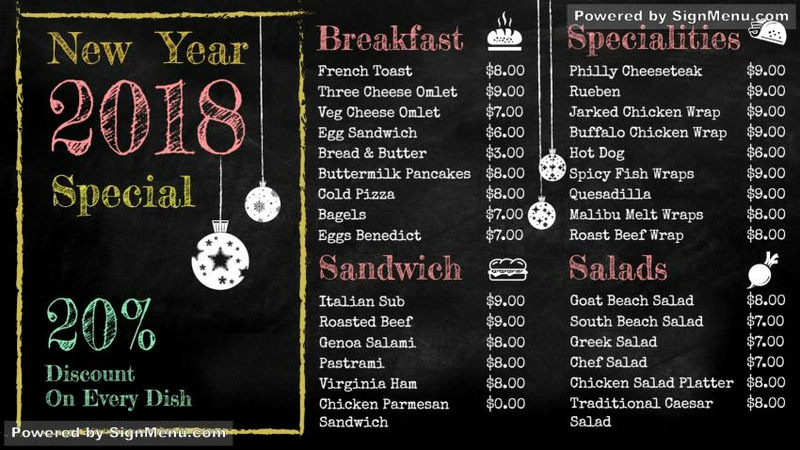 this template showcases a burger restaurant with New year offers. You too can showcase your New year special offers / discounts, items on a digital screen for maximum effect. When placed on your premises the effect will be electrifying. New and more customers will come in and sales will grow.